Primary and Alternate Bills of Material. A primary bill is a list of the components you most frequently use to build a product. An alternate bill is another list of components for the same basic assembly. The primary bill is the default for rolling up costs, defining a job, and calculating cumulative item lead times. You must define a primary bill before you define an alternate. A primary bill... CADLink is a turnkey system designed to tightly connect our customer CAD/PDM design data to their ERP system. 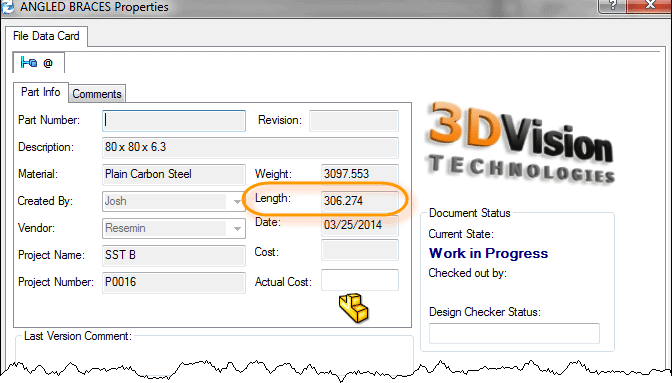 It allows engineering designers to view, modify, update, and create ERP engineering information such as Bill of Materials (BOM) and Item Master data without ever leaving SOLIDWORKS. One of the first questions we get from new SOLIDWORKS users is how to set up their Bill of Materials to match company standards.